Sharks are sometimes referred to as “living fossils”. Ancient sharks lived in the oceans long before animals colonized the land. Their history goes back to at least 400 million years ago, making the 2 million year history of humans seem quite insignificant by comparison. Most fossil evidence of early sharks exists as fossil teeth along with a few skin impressions. The earliest known evidence of sharks are fossil scales that date over 420 million years ago during the early Silurian. During the Carboniferous Period, sharks went through a period of diversification resulting in the evolution of many new forms. Many of these became extinct during the Permian with the remaining sharks undergoing adaptive radiation during the Jurassic, when the skates and rays first appeared. Modern forms of sharks evolved during the Jurassic Period about 150 million years ago, during the time of the giant dinosaurs. Between 2,000 and 3,000 ancient shark species have been described based on the fossil evidence. Ancestry of sharks dates back before the earliest known dinosaur. Although the dinosaurs are long gone, sharks still live on. Fossils are remains, traces, or impressions of ancient life preserved in rocks. These include mineralized bones, teeth, and shells as well as casts of foot prints, scales, skin, hair and dung. Certain conditions must exist for fossilization to occur. It requires insulation from microbial destruction of the tissue along with a supply of soluble minerals to take the place of the tissues. If conditions are right, the once-living tissues may be replaced very slowly to create a cast in stone of the original structure. However, since these conditions rarely exist, most organic material dissolves leaving an incomplete fossil record. Educators Guide for Megalodon: Largest Shark That Ever Lived! Megalodon PowerPoint Presentation – by Dana Ehret, Ph.D. candidate, University of Florida. Ehret, D. J., G. Hubbell, and B. J. MacFadden. 2009. Exceptional preservation of the white shark Carcharodon (Lamniformes, Lamnidae) from the early Pliocene of Peru. 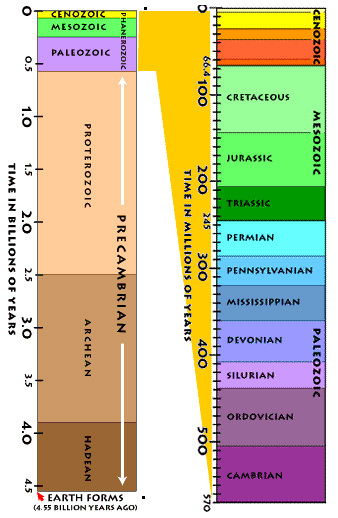 Journal of Vertebrate Paleontology v. 29 no.1, p. 1–13. Ehret, D. J., B. J. MacFadden, and R. Salas-Gismondi. 2009. Caught In The Act: Trophic Interactions Between A 4-Million-Year-Old White Shark (Carcharodon) And Mysticete Whale From Peru. Palaios v. 24, p. 329–333.